To many of her inhabitants, Greece now appears to be no less under Germany’s whip-hand than she had been during the Nazi occupation of the 1940s, with starvation and civil war no longer a distant memory, but a distinct possibility on an increasingly gloomy horizon. The rise of political extremism and ultra-nationalism, especially in the form of the odious Golden Dawn party, whose peculiar brand of neo-Nazi, neo-Spartan racism has raised hackles across the globe (and deep-seated fears among much of Greece’s population), is seen as just one consequence of recent German financial demands. 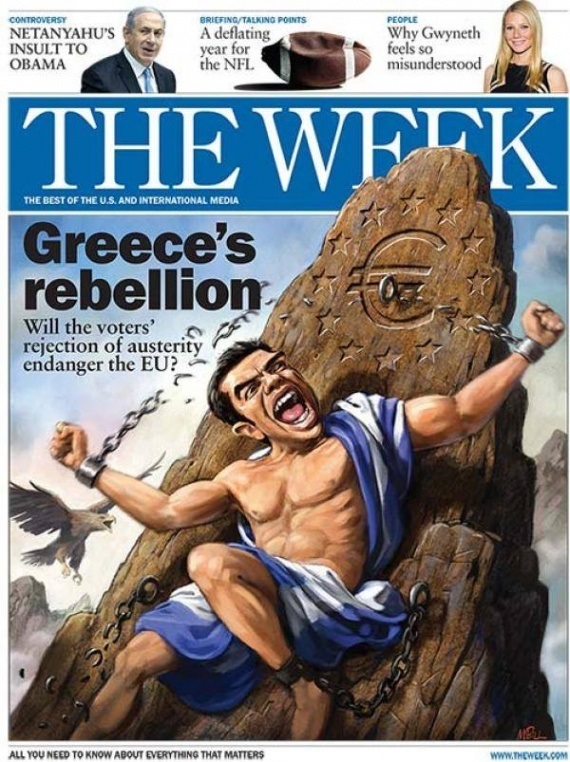 Small wonder that, in desperation, Greek politicians are grasping at historical straws, raising the spectre of reparations and German war-guilt in a futile attempt to hold back the European juggernaut which they believe is set to crush them. Arguably, today’s toxic Greco-German relationship can only be understood within a far broader historical context, drawing on an understanding of Germany’s adulation and idealisation of Ancient Greece from the 18th century onwards – and her subsequent inevitable disappointment with Greece’s all-too-real modern incarnation. Philhellenism was admittedly widespread in Europe during the Enlightenment and its aftermath, but many giants of German culture caught the bug particularly badly, with even such exalted figures as Goethe claiming that ‘Everyone should be Greek in his own way – but he should be Greek!’ Many leading German figures ultimately believed that there existed an ultra-special relationship, even a ‘Wahlverwandtschaft’, or a spiritual kinship, between Ancient Greece and modern Germany. Such discourses eventually reached a peak of ideological and chauvinistic excess during the Third Reich: now the ancient Greeks were alleged to be not only spiritually, but also racially, related to the modern-day Germans – since clearly they had always been the purest of Aryan races. In Hitler’s worldview, the forbears of Plato and Aristotle could easily have hailed from deepest darkest Thuringia; meanwhile, the Spartans were evidently akin to simple peasants from Schleswig-Holstein – as proved definitively by their mutual predilection for black broth(!). Meanwhile, philhellenist propaganda was used unsparingly on the eve of the German invasion of modern Greece in 1941, in order to convince Wehrmacht soldiers to consider themselves the ancient Greeks’ spiritual and biological heirs. Indeed, one could even argue that the brutality which German troops visited upon Greek civilians during World War II was in some cases a direct product of their disappointment at the modern Greeks’ failure to embody that heroic ideal which they had been conditioned to expect in the inhabitants of their ‘ancestral homeland’. 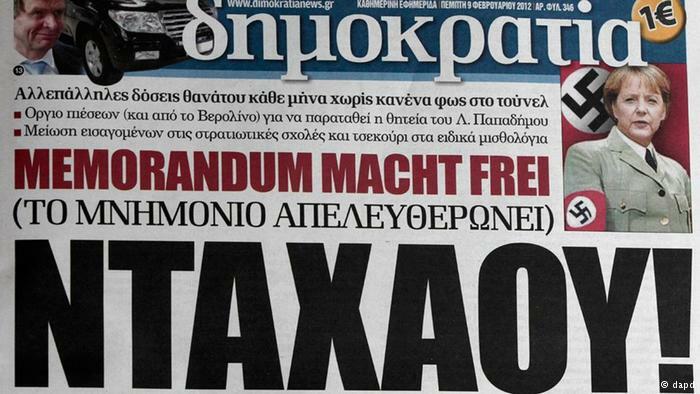 (3) Angela Merkel’s routine portrayal as an SS-guard by the Greek press today is therefore, in some sense, a symptom of Greece’s troubled relationship with Germany’s philhellenist past, as well as with the memory of Nazi atrocities. Now, however, similarly racialised views of the modern Greeks are becoming increasingly common currency amongst German politicians and pundits. 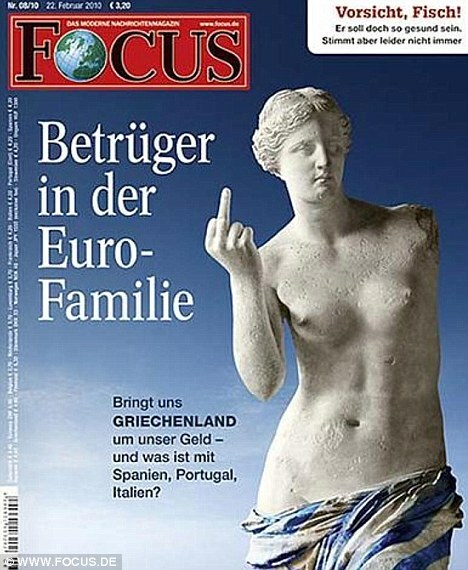 Just to take one example, Berthold Seewald, Die Welt‘s lead cultural history editor, recently fulminated against the treacherous absurdity of ‘the idea that the modern Greeks would comport themselves as descendants of Pericles or Socrates, and not as a mix of Slavs, Byzantines and Albanians’ (Geschichte vor Tsipras: Griechenland zerstörte schon einmal Europas Ordnung, Die Welt, 11 June 2015). In so doing, he is merely rehearsing the thesis put forward by the 19th-century Orientalist Jakob Phillipp Fallmerayer (1790-1861), who claimed that the blood of the ancient Hellenic race had been utterly expunged from Europe by an influx of Slavic immigration, and whose theories were eagerly appropriated by leading National Socialists to explain the unenthusiastic reception given by the modern Greek population to the invading Wehrmacht. (1) cf. Eliza Marian Butler’s seminal work on German philhellenism, The Tyranny of Greece over Germany (Cambridge: Cambridge University Press, 1935, repr. 2011). (2) cf. H.B.E. Roche, ‘”In Sparta fühlte ich mich wie in einer deutschen Stadt” (Goebbels): The Leaders of the Third Reich and the Spartan Nationalist Paradigm’, in Felicity Rash, Geraldine Horan, and Daniel Wildmann (eds. ), English and German Nationalist and Anti-Semitic Discourse, 1871-1945 (Oxford: Peter Lang, 2013), pp. 91-115. (3) For more on this phenomenon, see Mark Mazower’s Inside Hitler’s Greece: The Experience of Occupation, 1941-44 (New Haven: Yale University Press, 1995); for some specific examples, see Hagen Fleischer, ‘Die “Viehmenschen” und das “Sauvolk”. Feindbilder einer dreifachen Okkupation: Der Fall Griechenland’, in Wolfgang Benz and Gerhard Otto (eds. ), Kultur – Propaganda – Öffentlichkeit. Intentionen deutscher Besatzungspolitik und Reaktionen auf die Okkupation (Berlin: Metropol, 1998), pp. 135-69. This post was originally written for History Today magazine.